When we are born, we can only see a few colors, and objects are only visible up close. As we grow, many visual abilities develop in the process. These visual abilities help us move and interact with the world around us. They help us learn to read, track objects to play sports, and help develop our fine motor skills to write or draw. For some children, these skills may not develop properly. And as a result, a child may see double when they try to read, struggle with sports, or find daily tasks frustrating. What makes it even more frustrating, for these children, is that they have never lived with perfect vision. Words are always double, objects are always blurry, or maybe they’ve never developed depth perception leaving them to see a flat 2D world. Often they are unable to explain what is wrong because they do not know the difference. To them, everyone sees the world as they do. When these visually impaired kids are in a classroom with typically developed children, their struggles with reading and learning often stand out. When this happens, a child may think they are just not as intelligent as the rest of the class when the real culprit is a vision dysfunction. 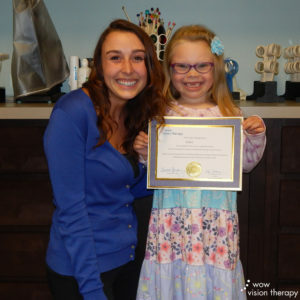 In the story below, Jessica describes her daughter’s struggles, how they discovered vision therapy and life after treatment. Where do I even begin? The last couple years have been hard for Grace. Three different teachers provided similar feedback three years in a row. They all thought she would “grow out of it,” but so many things became harder as the school demands grew. She had difficulty with focus, attending to task, learning to read, completing class assignments, and some teachers noted trouble with coordination tasks. I had always pictured bedtime full of snuggles and giggles curled up with a good book, but this was not our reality. Reading was a challenge and our snuggle time was full of frustration, ANXIETY, squirms, sadness, and at times anger and fear. One particular night stands out as I watched Grace hit her forehead and cry, “Why is my brain so stupid?” I was crushed and what was worse was knowing that she was crushed too! During the last two months, we have gotten many surprises, and they just keep coming. For her birthday, she received a 400 piece Lego set, my immediate thought was that someone had wasted a lot of money, but I asked her if she wanted to build the Lego set and she did. It was divided into 3 bags, and we did one at a time, after 3 sessions she completed it almost entirely on her own. A few days later she picked up a book and read it like she had practiced 20 times. She has done puzzles, began coloring/drawing well, and completed a maze on a kid’s restaurant menu. These may seem like small accomplishments, but these were difficult if not impossible tasks 5 months ago. 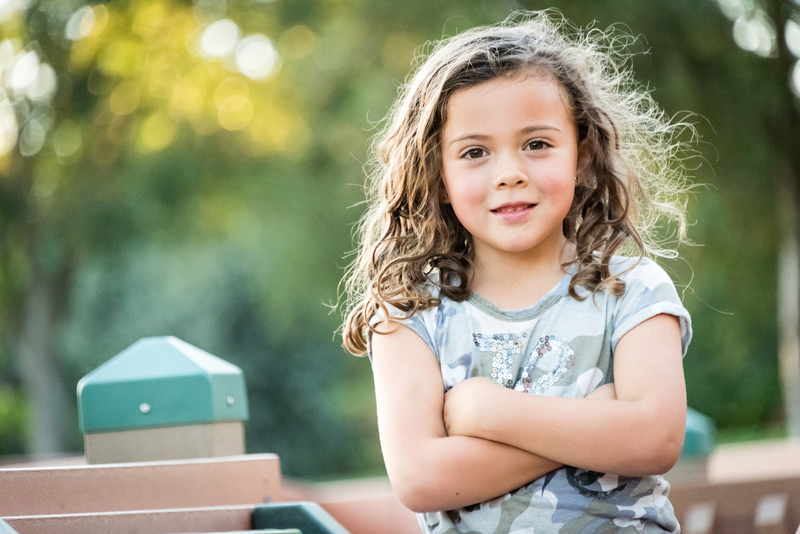 We have heard nothing but praise from her 1st-grade teacher who told us Grace often chooses reading during her free choice time. Now our bedtime snuggles are just as I had always imagined, Grace is happy and confident! Last week she even told me that on that day she felt like the smartest kid in the class! Our family will be eternally grateful for Wow Vision Therapy, Dr. Bartolini, and a very special thank you to our rock/leader/mentor/cheerleader Miss Lauren! Concerned your child may be struggling with a vision and learning problem? Schedule an appointment today with our team.